“I say unto you, that joy shall be in heaven over one former prog-jazz musician that repenteth and abandoneth his noise guitarist, more than over ninety and nine just acoustic players, which need no repentance.” (Luke 15:7, King James Bible, bowdlerized). 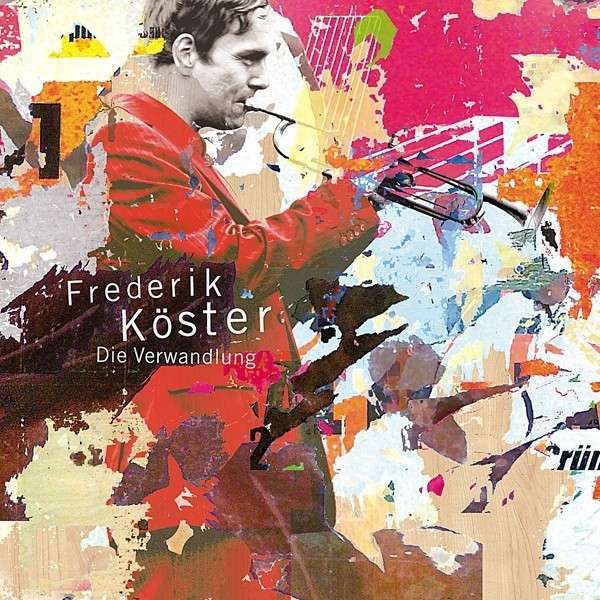 There has indeed been joy in German jazz circles over Die Verwandlung (meaning metamorphosis or transformation), a new CD from the 35-year old Rhineland-based trumpeter Frederik Köster. "Deutschland hat einen neuen Trompetenstar" was what the Die Welt trumpeted when the album came out in March. It came very highly recommended to me from colleagues in Germany, and is indeed a very strong album. Köster is a known quantity in Germany, having already won just about every prize going in the period since he first emerged on the scene in 2006, and the new album, his fifth as leader and his third for Traumton, is probably - and deservedly - going to figure in the German 2013 best-of lists. For this album, Köster has a completely new acoustic quartet. His previous Traumton album Momentaufnahme (meaning a snapshot), released in 2011, had far more overdubbing and soundscaping. A dominant voice was that of guitarist Tobias Hoffmann, and there was even a track reviving the seventies grungy anger of the student movement . This is a much less shouty album than its predecessor. There are overdubbing and effects moments, but they are put to the service of the main narrative generated by an acoustic quartet. The title, and the press release ram home the point that things have changed. There are echoes throughout of the Tomasz Stanko acoustic quartet with Marcin Wasilewski, but for my ears Sebastian Sternal's lines are longer and more interesting, and tracks such as the lovely, transparent, Bachian Tief in den Wäldern ihres Herzens – the title is from Japanese novelist Murakami – is an absolute gem. Drummer Jonas Burgwinkel who plays with Pablo Held has the kind of creativity and alertness we get over here from James Maddren. Joscha Oetz is a strong player, and a welcome returnee to the Cologne scene having lived for a few years in Lima, Peru. He now has the kind of persuasive authority one associates with his erstwhile teacher Dieter Manderscheid. For an album I have basically enjoyed a lot there is one extraneous embarrassment which I could have done without. For the tenth and last track Guru/ Night Gleam, Köster has invited as guest the singer Tobias Christl, who has a cringe-making moment with his English pronunciation. Evoking an idyllic scene under moonlight in Sussex he intones: “the full moon shown (sic) / at 3am”. If I can cast that dreaded moment out of my mind, this is a thoroughly recommendable album. If Köster can keep this group together, they are an exciting prospect.